In October 1947, Grace Holland is experiencing two simultaneous droughts. An unseasonably hot, dry summer has turned the state of Maine into a tinderbox, and Grace and her husband, Gene, have fallen out of love and barely speak. Five months pregnant and caring for two toddlers, Grace has resigned herself to a life of loneliness and domestic chores. One night she awakes to find that wildfires are racing down the coast, closer and closer to her house. Forced to pull her children into the ocean to escape the flames, Grace watches helplessly as everything she knows burns to the ground. By morning, her life is forever changed: she is homeless, penniless, awaiting news of her husband's fate, and left to face an uncertain future in a town that no longer exists. With courage and stoicism, Grace overcomes devastating loss and, through the smoke, is able to glimpse the opportunity to rewrite her own story. 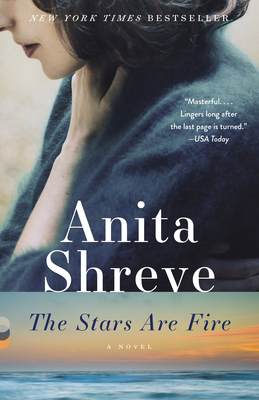 Anita Shreve was the New York Times best-selling author of seventeen novels that have been translated into thirty-six languages. She lived with her husband in New Hampshire.